We're a "Residential Redevelopment" company that focuses on buying, rehabbing, and reselling properties all over town. We work on multiple projects per year and if you are seeing this page we're looking for our next property to focus on. © House of Real Estate NJ All Rights Reserved. 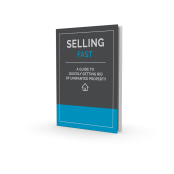 Don't forget your free SELL FAST E-BOOK!